Did you know the Australian aid budget is now at it’s lowest in the country’s history, as a proportion of national income? Sadly, it’s true. 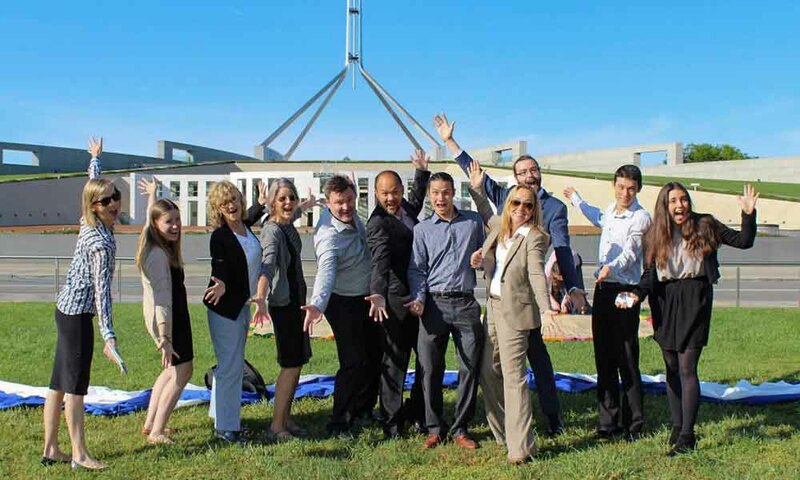 So how can we share our concern for the issue of poverty with politicians in Canberra? At the annual Voices for Justice event organised by Micah Australia, Christians are invited to come together for four days of training, worship and action in our nation’s capital. Hosted by Tim Costello, Micah’s new Executive Director, Voices for Justice provides an opportunity to meet with over 100 politicians to discuss issues affecting the global poor including Australia’s Aid budget. It’s another way we can be a good global neighbour to the poor and marginalised of of Nepal, and beyond. “Sometimes being passionate about ending global poverty while living in Australia can be frustrating – it’s hard to feel like you can make a difference,” says Cherry Mawson, INF Australia’s Communications Officer. Cherry attended previous Voices for Justice events and says it gave her a voice. Cherry says the event is both inspiring and encouraging, and if you’ve never met with a politician before, Micah Australia staff and volunteers prepare those attending with all the training needed to meet with Members of Parliament. churches and Christian development organisations, of which INF Australia is one, raising a powerful voice for justice and a world free from poverty. Voices for Justice runs from 1 – 4 December in Canberra. You can get your Early Bird ticket here. Early bird tickets are available until 31st August at just $150!